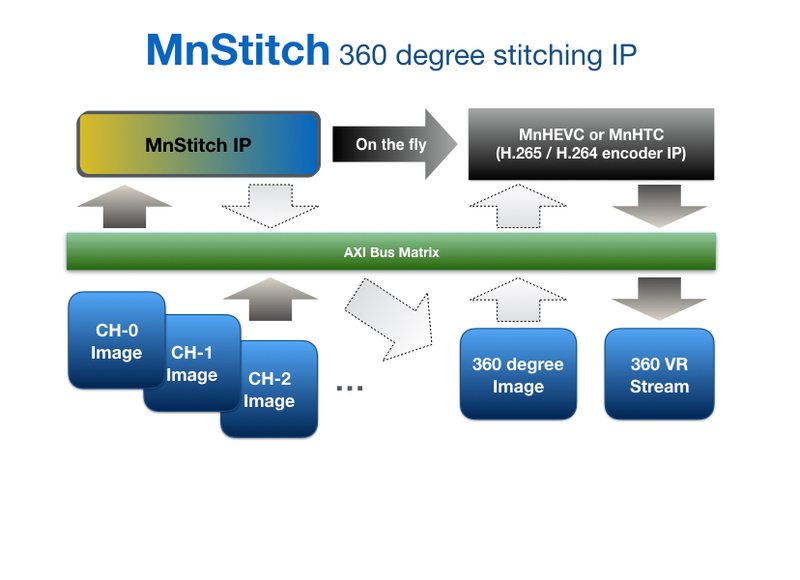 MnStitch is Mn_nH s 360 degree stitching IP for VR. MnStitch provide highly optimized 360 degree image stitching and support any number of cameras and combinations. Also MnStitch make complete natural one 360 degree image in spite of keeping origin image properties at each multiple sensors.